A major renovation and expansion of the Philip Greer Store, the student center at the Academy, and conversion of un-used squash courts to a new, dual-level, 7,000-square-foot fitness center to serve the athletic department and the wider Academy community. 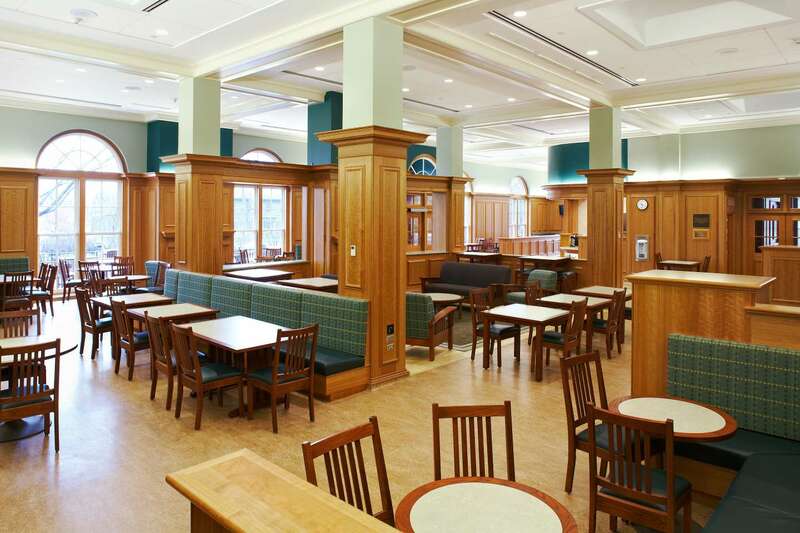 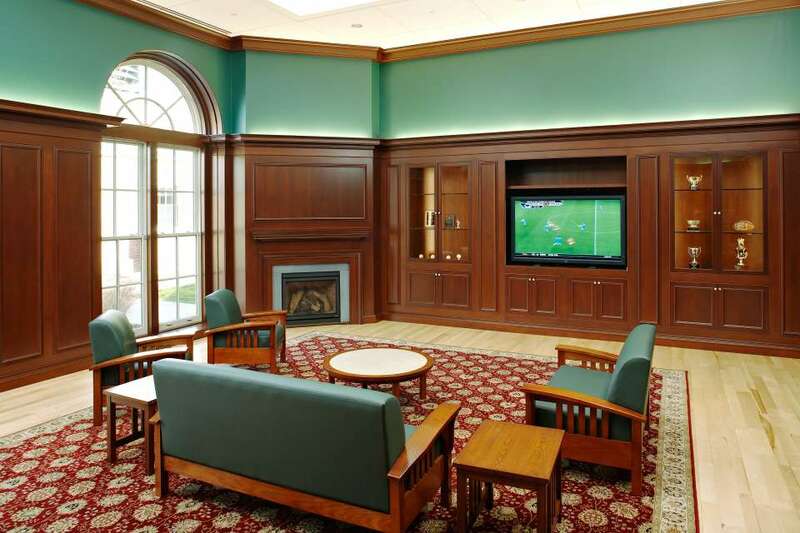 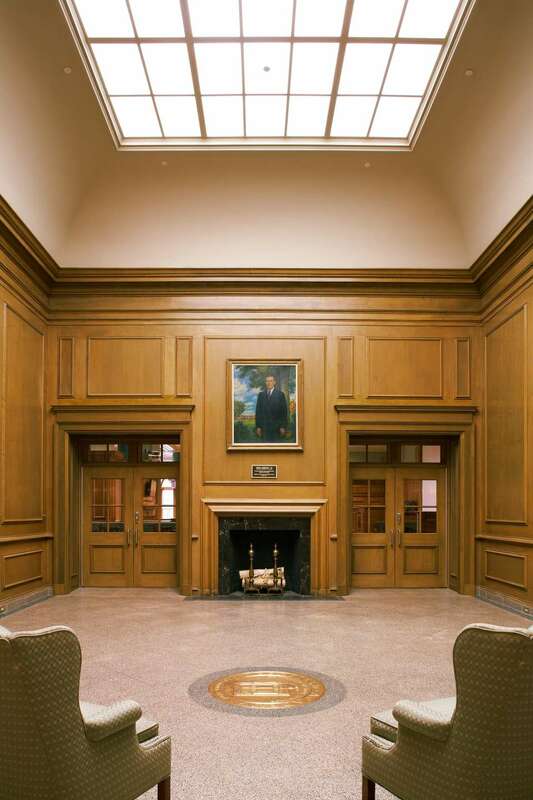 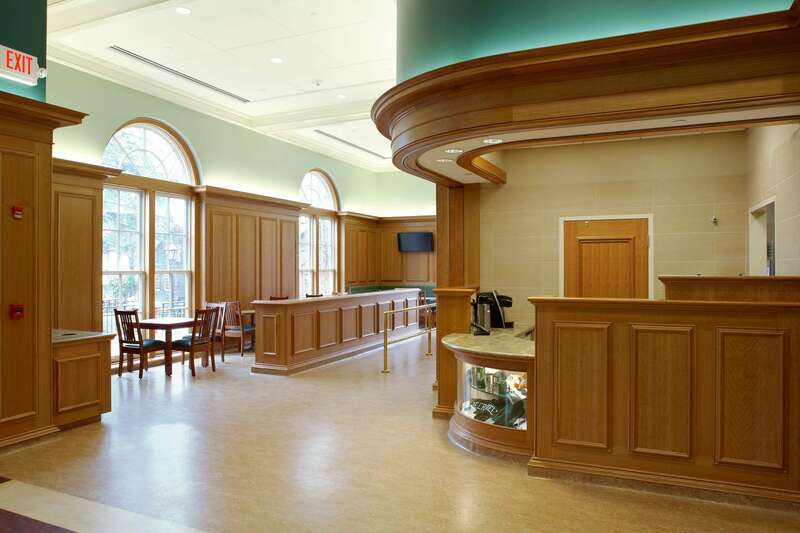 Through the expansion and renovation of the existing Greer Store, the Academy wanted to increase the size of their student center while maintaining the character of the space. 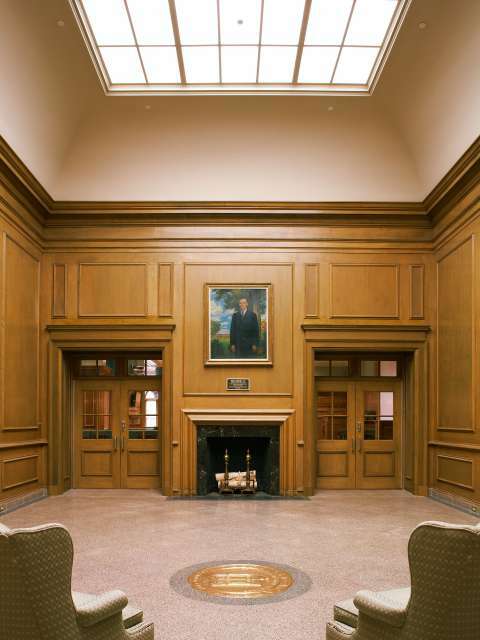 Rich cherry paneling and school colors in both the Greer Store and adjacent multi-use space evoke the school’s history and tradition. 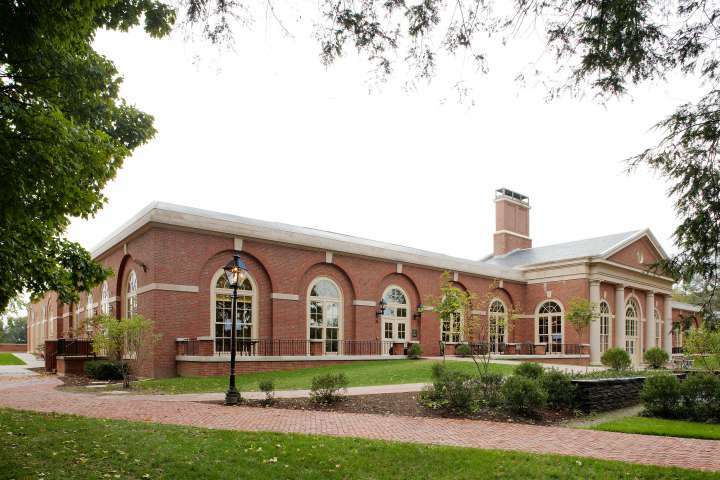 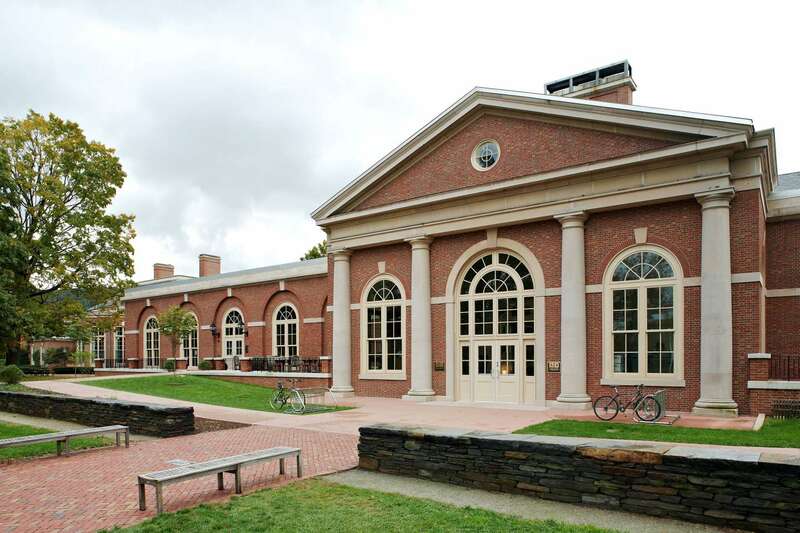 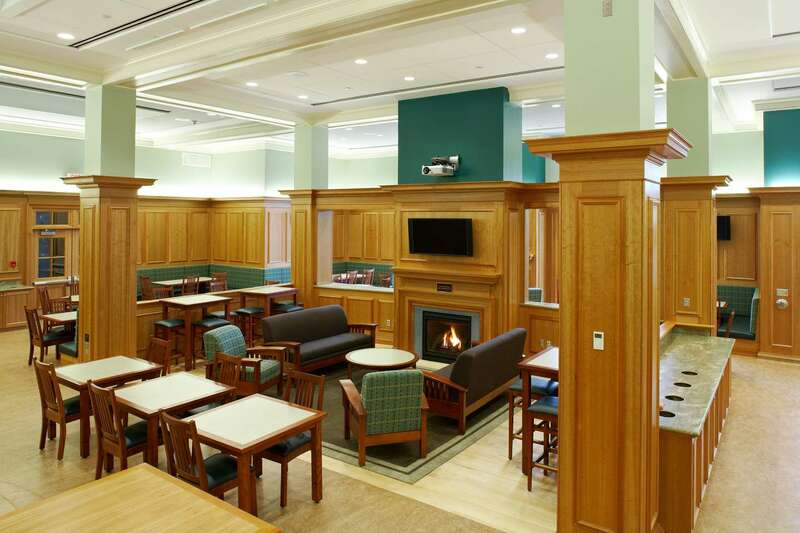 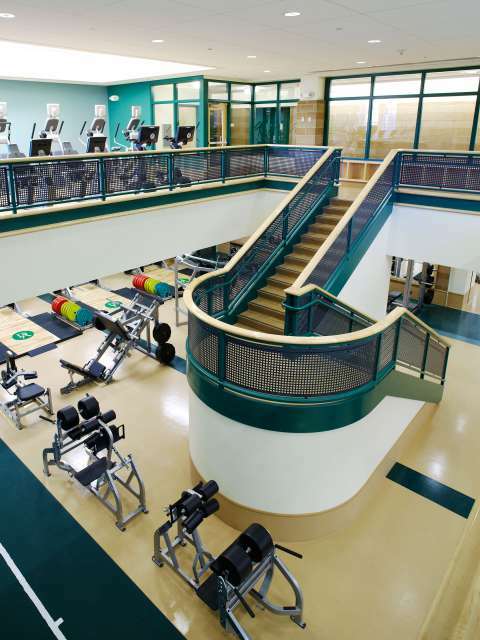 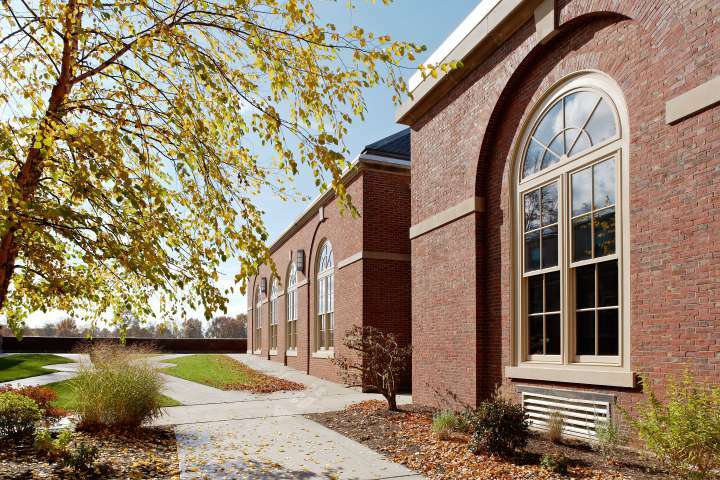 The Fitness Center expansion creates a dual-level facility that accommodates both the athletic department and the entire Deerfield Academy community. 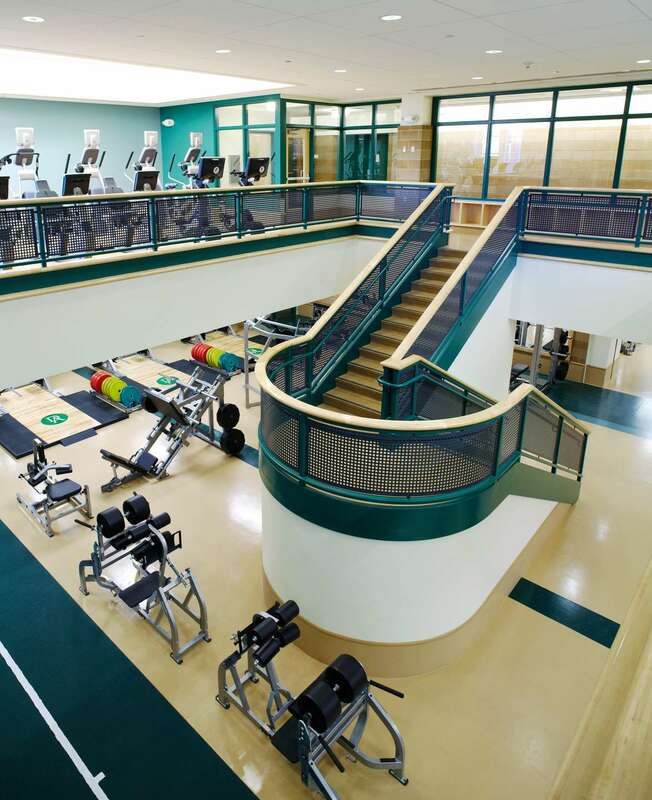 A combination of energizing and welcoming colors and finishes are used to create a sense that the facility is hospitable to users with various levels of fitness.